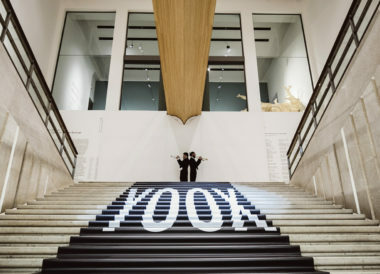 During Milan Fashion Week, Vogue Italia and YOOX present THE NEXT GREEN TALENTS, the evolution of the renowned THE NEXT TALENTS, a scouting project created in 2011 by Franca Sozzani and Federico Marchetti to promote and support the new generation of talents and which, from this year’s edition, embraces the values of sustainability. The NEXT GREEN TALENTS will debut on the evening of February 22 at Palazzo Morando, and will be open to the public on February 23 and 24. The aim of THE NEXT GREEN TALENTS is to increase awareness around sustainability, as well as to encourage a responsible attitude towards consumption. 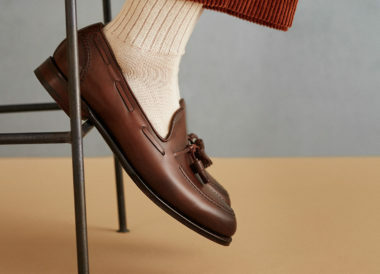 These values underlie YOOXYGEN, YOOX’s socially and environmentally responsible destination, and are shared by Vogue Italia and Vogue Talents, which have always supported young talent and given a special space to new-generation brands and designers who value and promote sustainability. 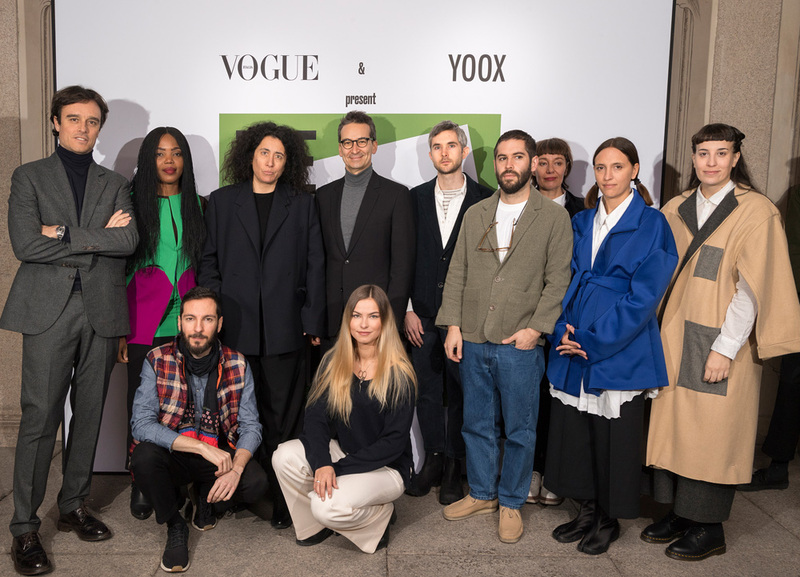 “Vogue Italia and YOOX come together for the eighth consecutive edition dedicated to new talents. This year the focus is on sustainability, an issue that has been particularly close to our hearts since the launch of YOOXYGEN in 2009. The Next Green Talents, developed in collaboration with Emanuele Farneti and Sara Sozzani Maino, is a double bridge towards the future of fashion: the new horizons of creativity and new ways of protecting the world we live in. Ideas and responsibility, values that ultimately travel together” – Federico Marchetti, Founder of YOOX and CEO of YOOX NET-A-PORTER GROUP. The brands chosen through the scouting process for this year’s edition place sustainability at the heart of their creative and manufacturing process, and come from all over the world: Sylvia Enekwe and Olivia Okoji from Gozel Green in Nigeria; Bobby Bonaparte and Max Kingery from Olderbrother in the United States; Dutch label ByBrown by British designer Melanie Brown; Laura Meijering’s Unravelau from the Netherlands; Tiziano Guardini from Italy; Chain by Lucia Chain and Nous Etudions by Argentina’s Romina Cardillo. “Never before has the world of fashion been so called upon to take a position, to make its voice heard on the big political and social issues. This is why, along with Federico Marchetti, we decided that our customary appointment with Vogue Talents should put the issue of environmental sustainability at center stage, as an unavoidable challenge for everyone involved in the sector in the coming years” –Emanuele Farneti, Editor-in-Chief of Vogue Italia. During the inaugural cocktail party on February 22 and the following days, each of the designers will present their Fall/Winter 2018-19 collections to the international guests; the collections will be available on YOOXYGEN in more than 100 countries from September 2018, confirming YOOX’s support for international talents. This year, in addition to their collections, the selected designers have created an exclusive statement T-shirt with a powerful message: responsibility begins with the consumer. The T-shirts will be available on YOOX from February 22. “Supporting the new generation is fundamental, and in this edition, sustainability is at the heart of our project of belief in a brighter future” – Sara Sozzani Maino, Deputy Editor-in-Chief Vogue Italia and Head of Vogue Talents. Sustainability will also be the focus of the emotional videos created by four filmmakers – Italians Elena Petiti di Roreto and Francesco Petroni and the Wiissa duo, featuring Wilson Philippe from France and the Brazilian-American Vanessa Hollander – which will be screened in the rooms of the eighteenth century palace during the event and throughout the two days devoted to green talent. The event is made possible in part thanks to the support of Audi which joins forces with Vogue Italia in a project that explores the aesthetics of the future and its countless aspects. Special thanks to Bisol – Vitivinicoltori in Valdobbiadene.